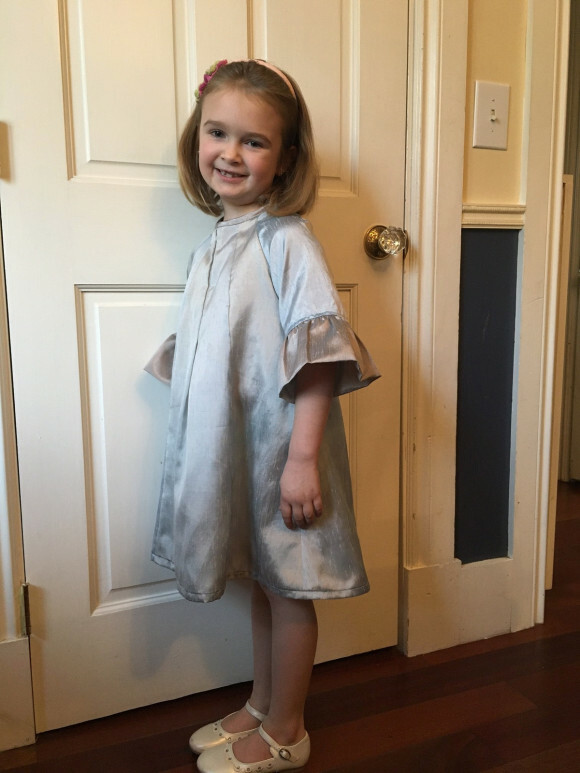 We love seeing what you create with Oliver + S patterns. 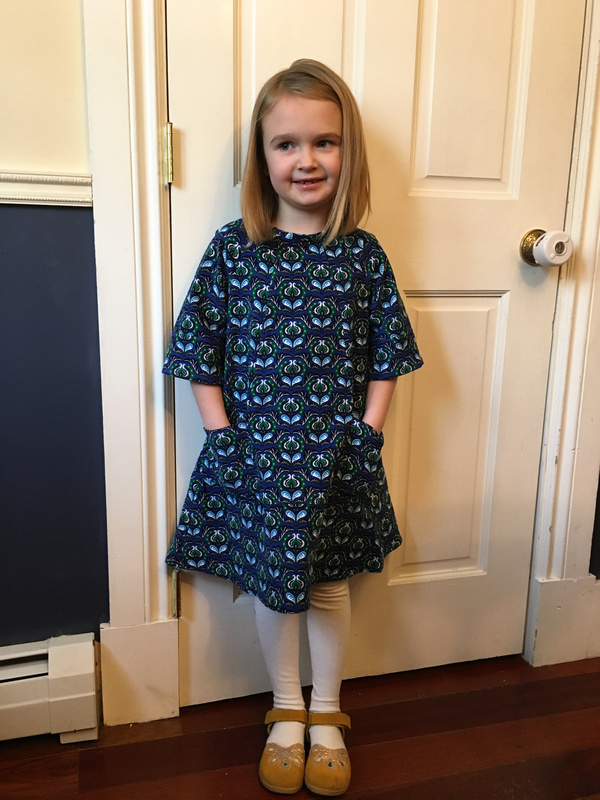 The “my favorite Oliver + S pattern” series features Oliver + S fans who share what they’ve made and an added bonus is we get to know them better, too. 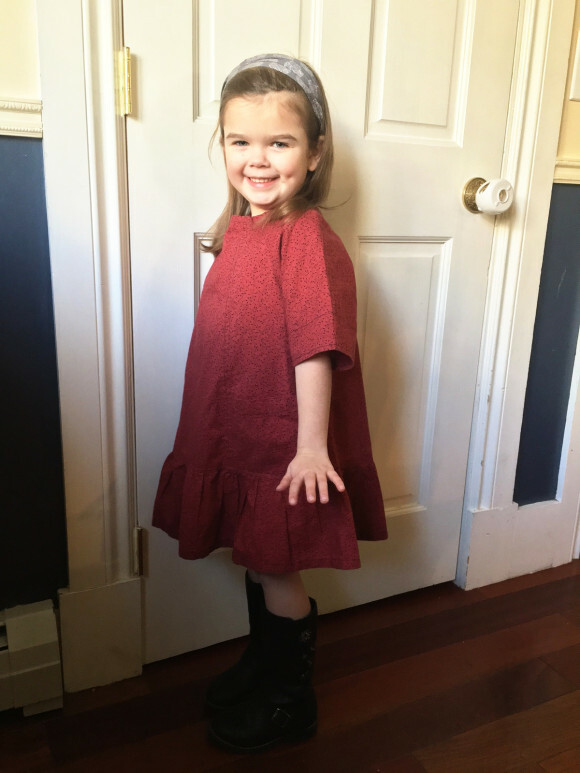 Today we have Emily who is stopping by to talk about her favorite Oliver + S pattern and share the many wonderful versions she has sewn. Thanks for being here, Emily! I am super excited to share my favorite Oliver + S pattern with all of you. I started sewing as part of 4H when I was in fifth grade. 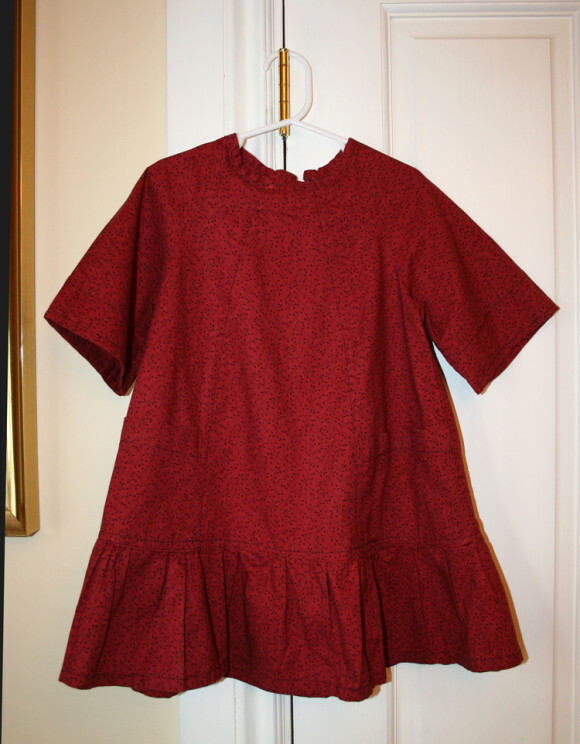 I even made a dress that won a ribbon in the county fair! But to be honest, I hated sewing. Three years ago a friend suggested I attend a homeschool mom’s sewing class. 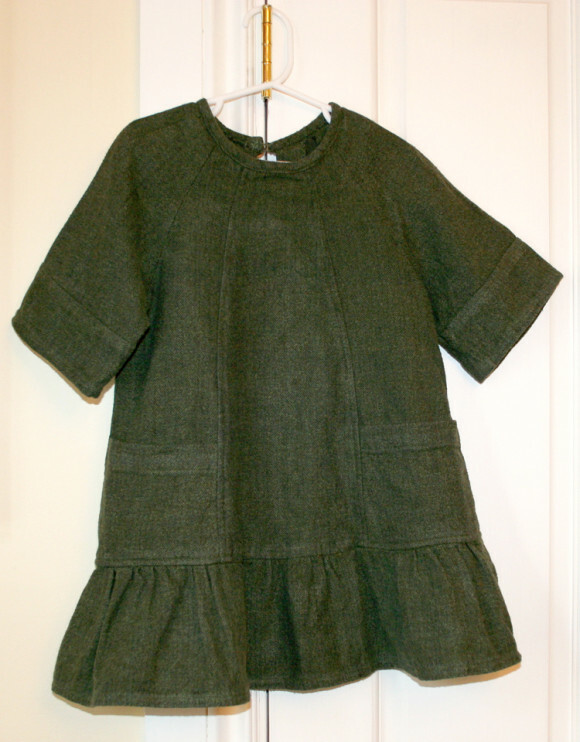 The class had chosen to sew the Nature Walk Pullover and Knit Pants. From the moment I saw the pattern envelope, I was smitten and decided to take the class. Fast forward three years and I own over thirty Oliver + S patterns. Many of those I own in both sizes! 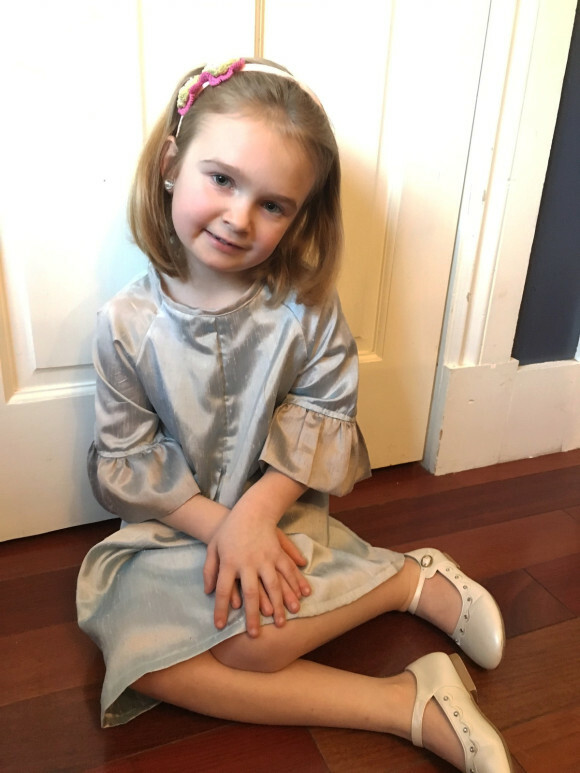 A lot of what I sew for my children is Oliver + S. I attribute the clear directions, layout, and the well thought notches and markings on the patterns for the reason that I have come to love both Oliver + S patterns and sewing in general. I’ve made so many of the patterns multiple times for my kids, but my hands down favorite is the Carousel Dress. 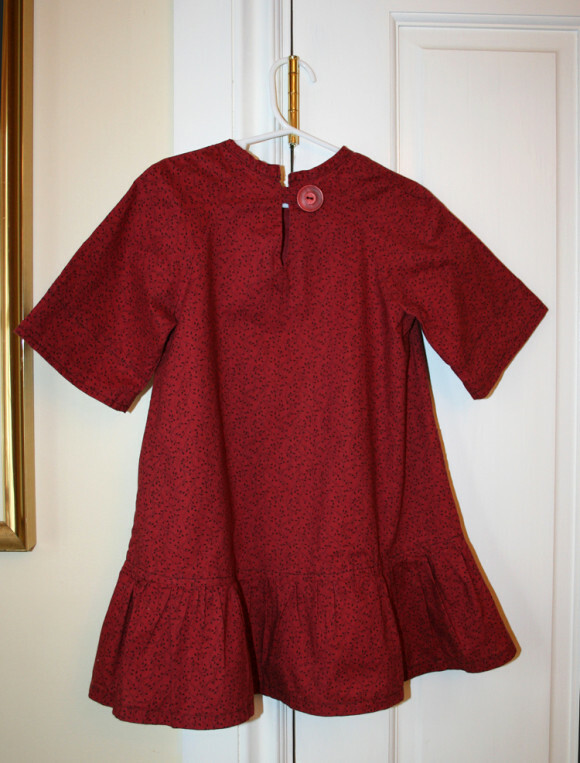 When I first saw the pattern, the bottom ruffle caught my eye. I just knew my younger daughter would love it. The first version I sewed was out of Shetland Flannel. It has a beautiful weight and it is nice and warm for the winter months. While I love all the details on the pattern, the topstitching is by far my favorite one. Yes, it takes some extra time and care, but I think the finished product just looks that much more special. This version out of quilting cotton, really shows off the topstitching. I made a button loop for the back (using the button loop pattern piece from the Rollerskate Dress) because my daughter struggled with the tread chain loop on the first version. I’ve also made the dress without the ruffle (View B) for my older daughter who isn’t into anything too girly. 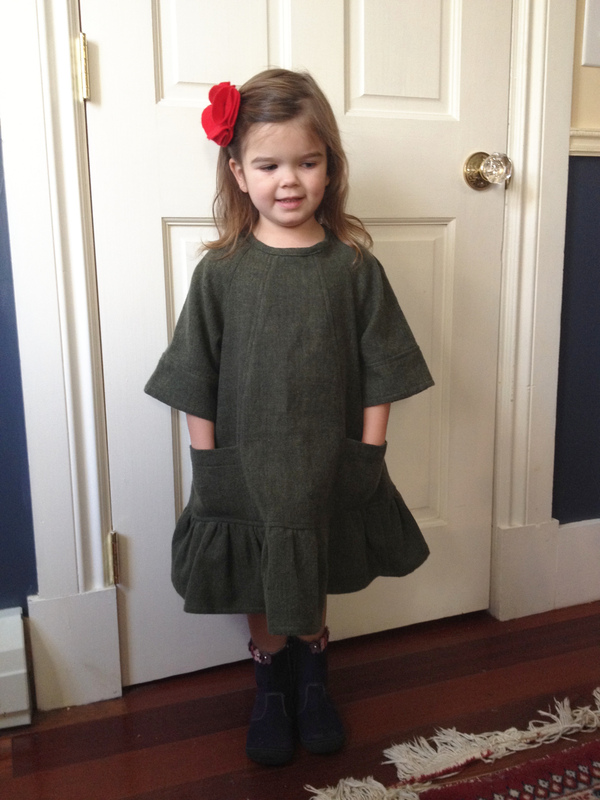 She picked the baby whale corduroy for this one herself. You don’t notice the topstitching as much on this one, but I just love how the silhouette suits her. 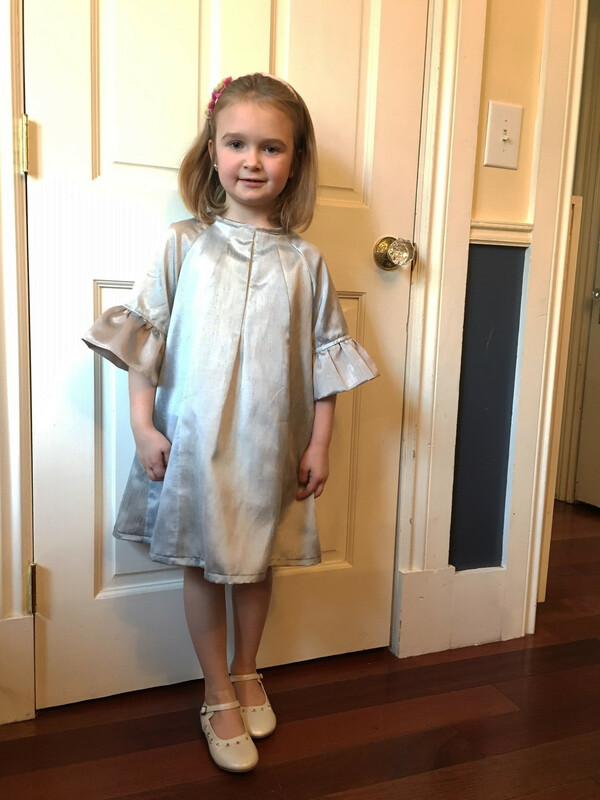 Most recently, I have sewn the dress with some modifications in the hopes my oldest daughter will wear it for Easter this year. The fabric is actually an old IKEA shower curtain. It is a gorgeous light blue/gray ombre faux silk shantung. I cut the middle panel one size larger so that I could accommodate the pleat in the front and I added length to the sleeve cuffs so that I could gather them. I omitted the bottom panel and lengthened the side, front, and back panels. The fabric is quite thin and sheer so I ended up lining the body of the dress but not the sleeves. I love how with some very simple modifications the dress can become quite elegant. So many fun things can be done with this dress. 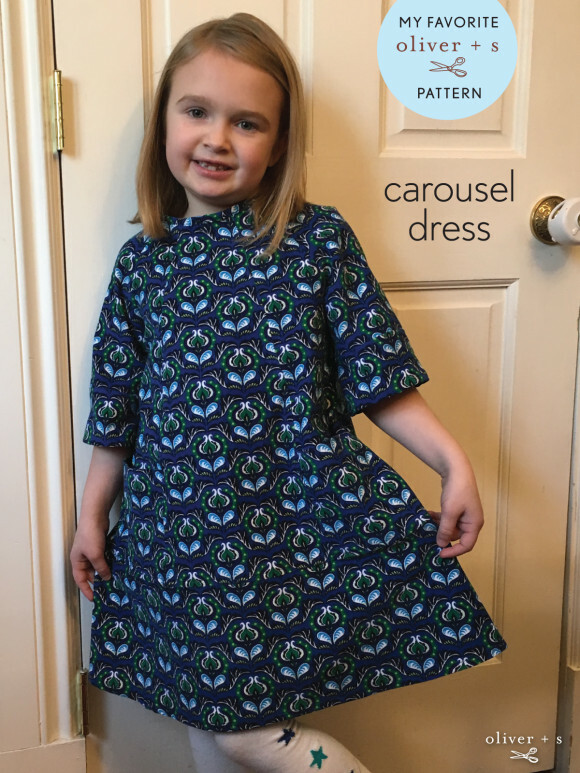 I hope I’ve given you some inspiration to try out the Carousel Dress. 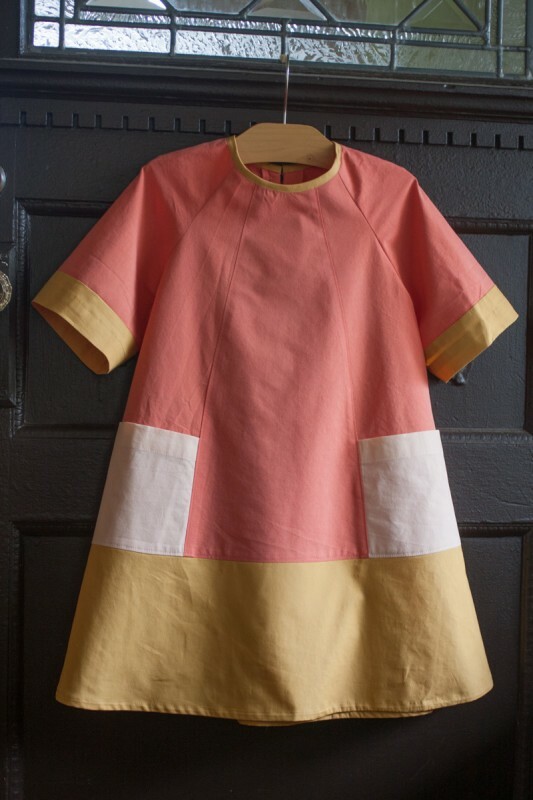 Would you like to take a little trip down sewing-memory-lane? 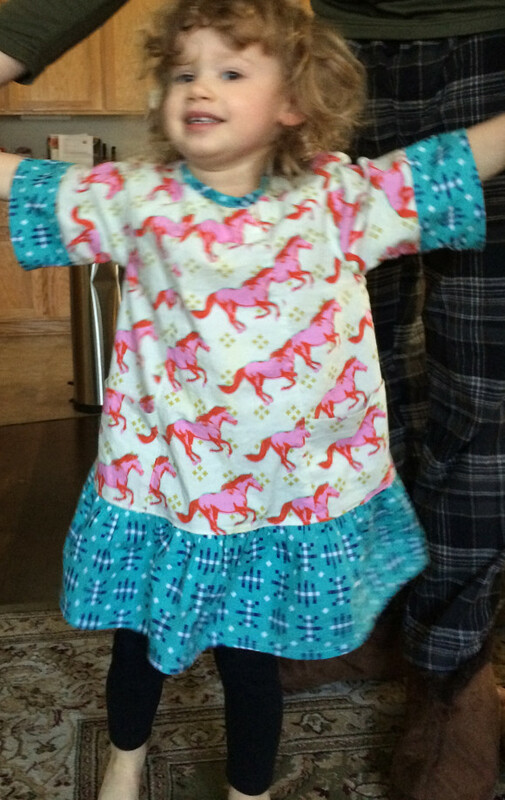 If so, go visit Liesl’s introduction to the Carousel Dress from October 2014! So many gorgeous dresses, well done Emily. Such great dresses. The color blocked version almost knocked me over, it’s so lovely. I’m also gobsmacked by the shower curtain! Your dresses are lovely but I’m afraid they’re outdone by those gorgeous little models! What cuties!! This is one of the few patterns I’m yet to sew, and you’ve inspired me with that green flannel version. Soooo nice. Thank you very much for sharing your Carousel dresses; you have made some wonderful variations. I’ve made the pattern once, in corduroy, and I enjoyed the experience. I would like to try the next couple with the neck opening at the front – a la the 2+2 blouse. Australian children find it to hot/uncomfortable to wear ‘high’ necklines with easy openings. Have you tried this? I’m sure it would be very easy to do, Fiona. You could always lower the front neckline as well.